Top Ten Books I'd Recommend To Someone Who Doesn't Read YA - My Life Is A Fairytale That Will Never End. 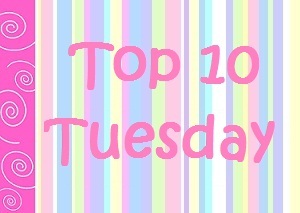 Top Ten Books I'd Recommend To Someone Who Doesn't Read Young Adult! Ok, these are the 10 books I would recommend to someone who doesn't read YA. 1. Obisidan is absolutely AMAZING! I love this book so much and the characters are so so good and the story is a very interesting one! 3. Unearthly is so so good - if you like angel stories - you'll love this book! 4. Vampire Academy is my favourite series EVER! 5. The Iron Fey series is also so so good! 6. Anna and the French Kiss is wooow ♥ amazing. 8. Ten things we did is hilarious!! If you want a funny book to laugh a lot then this one is definitely for you! I have read most of these and agree whole heatedly. Great suggestions. I have made a lot of non-YA readers read City of Bones and each has loved it. Seriously awesome list - quite a few on here that I hope to get to soon. I have SHADE on my shelf and I've been told it's amazing! Great list! I've only read Anna and The Iron King, but the rest of these are either on my wishlist or in my TBR tower. Great choices! But onto your list! Oh my gosh, there isn't a SINGLE book in your top ten that I haven't read & loved before -- how amazing is that??? Obsidian, Anna, City of Bones, The Iron King... I actually just borrowed a copy of The Statistical Probability of Love at First Sight and am reading it right now (love it so far! ), and once I'm done, our lists will be near-identical!! The Hunger Games! Oh and Divergent! And yes to City of Bones. Totally agree with you on the Iron Fey series as well. Hmm, I need to read the rest on your list! I couldn't agree more with your list!! Anna and the French Kiss is one of my alltime favourite book in the list. There are only 3 books I haven't read from the list: Obsidian, Hex Hall and 10 things we did and probably shouldn't have which I should definitely read. Great list, Nea! !